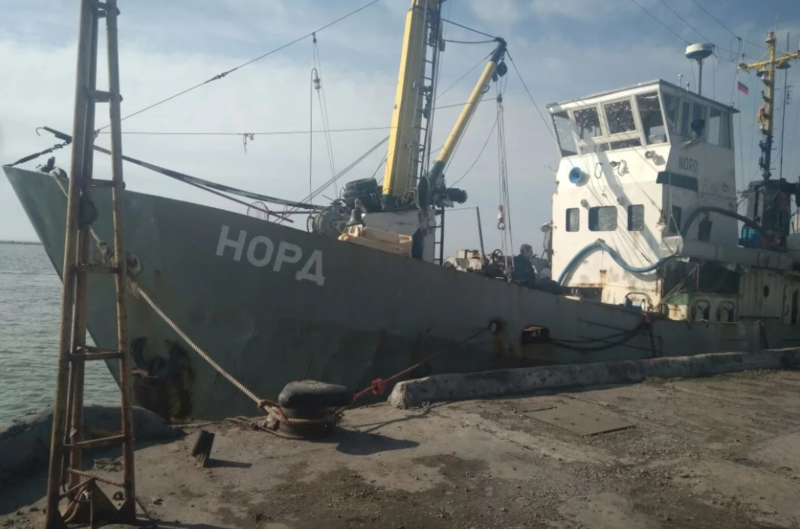 Russian diplomats will not have access to the crew of arrested Nord ship, which was detained by Ukraine’s border guards in the Sea of Azov on March 25, as the press-office of the State Border Guard Service reported. “The Nord ship is Ukrainian (Kerch is its port of registration) and the members of the crew are preliminary Ukrainian citizens, therefore the officials of Russian diplomatic agencies do not have access to it,” the message says. The representatives of the Service added that the Ukrainian side uses best endeavors to provide the crew with everything they need. “The Nord ship is connected to the Berdiansk commercial seaport industrial electric power supply, the lawyers are allowed to visit the crew and they are also provided with food products, medical supplies, and other necessities,” the State Border Guard Service informed.